I can't think of the last time we've seen a play by Clifford Odets get a major production in the Hub. And it's easy to guess why: this playwright often feels dated in a way few great dramatists do. So . . . does that mean, perhaps, that he isn't truly great? Well - speaking frankly, I would probably rate Odets only on the edge of greatness - but still (just barely) in the club. He's certainly of historical importance: his portrait of the Bergers, the struggling Jewish family in Awake and Sing!, counts as probably the first to be seen in America outside of the Yiddish theatre (and its emotional template is in some ways still in effect - as you may be able to judge from the tidal wave of plays about Jews and Jewish families onstage this fall). Still, the play's basic themes remain universal, particularly the conflict between the elder Bergers, who have sacrificed their dreams (and even their children's dreams) out of fear of financial ruin, and the younger generation who yearn to break free of their parents' shackles - as well as those of society at large. I have to admit, though, that even if he's universal, Odets is a complicated case in his particulars. Structurally he is often simplistic or clumsy, and his sentiments lean toward the political, while his politics are always sentimental. What's more, his characteristic patois (another breakthrough, actually, in the Broadway of his day) now sounds stilted; and his plots often toy with types or stereotypes, and are sometimes shadowed by sexism or other prejudices. So why should we still be interested in Clifford Odets? Well, this playwright was one of the first to be noted for his "voice" - and it's still there, clear, caustic, and unmistakable (dated as its cadence may be). And oddly, Odets can be at his most muscular when he's at his clumsiest; his characters wrestle with each other, and there's often a charge of buried challenge to even his off-hand exchanges - as a result, his dialogue often truly sings, or at least hums with combative current. Best of all, he understood before it became a slogan that the personal is political, and vice versa - and he was an expert at evoking the braided nature of the two. 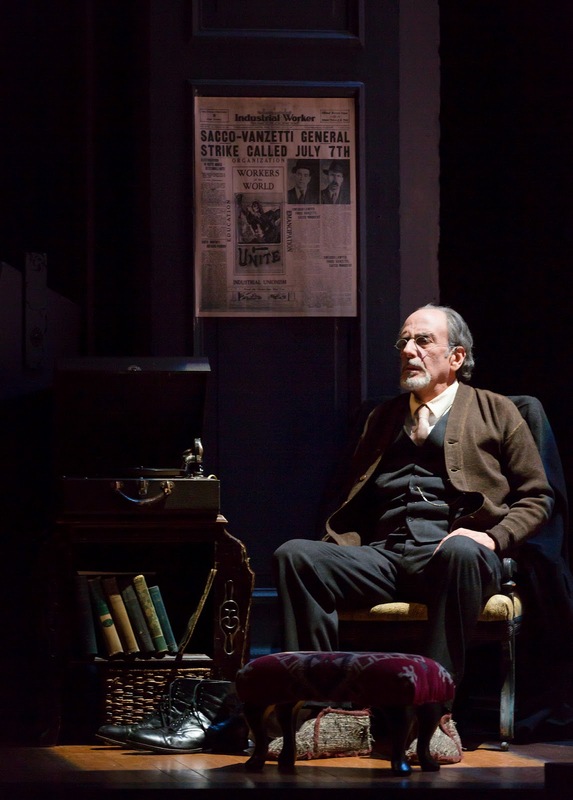 Will Lebow as Odets' patriarch, Jacob. And what sustains director Melia Bensussen's current production at the Huntington (which closes this weekend), is her appreciation of that particular dimension in his work. She brings a thoughtful balance to his occasionally overheated dialectics, and limns an intriguing sense of political tragedy to what can sometimes read as histrionics. 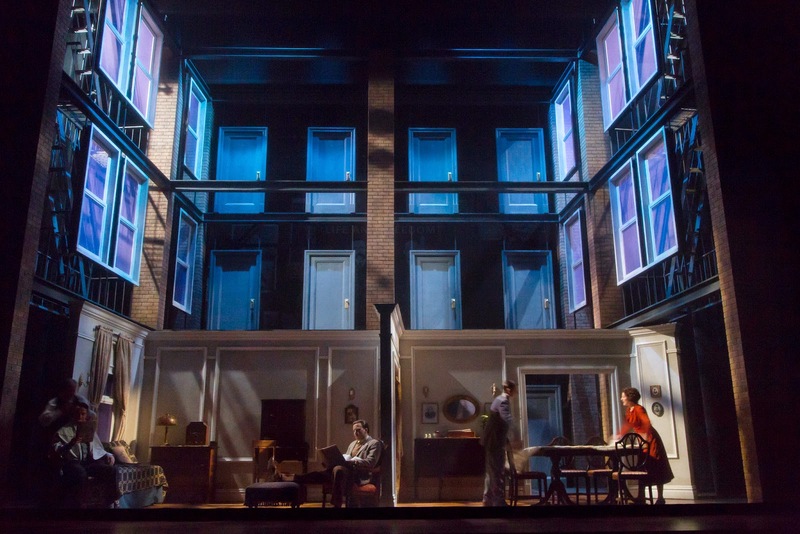 This left the production somewhat muted in tone; in intellectual terms it was all there, but Odets' vital sense of hurly-burly sometimes seemed to have gone missing. Still, Benssusen's take was hardly as oblique as the over-praised Broadway production of a few years back; indeed, I think we're unlikely to see a stronger version in these parts any time soon. And the production certainly showcased several remarkable performances. Will Lebow made a grand return to the Huntington stage with his portrait of the failing Marxist patriarch whose suicide kick-starts the younger generation's bid for liberation; he was given a run for his money, though, by newcomer Eric T. Miller, who nailed the confrontational moxie of the family's brash boarder, Moe Axelrod. Elsewhere the news was almost as good; although I'd argue mother Bessie should be more of a gorgon, Lori Wilner certainly gave her a ruthless drive, and David Wohl made us understand the kind of husband who could instinctively bend to her will. Meanwhile Annie Purcell skillfully hinted at conflicted depths beneath daughter Hennie's bitterly cowed surface. 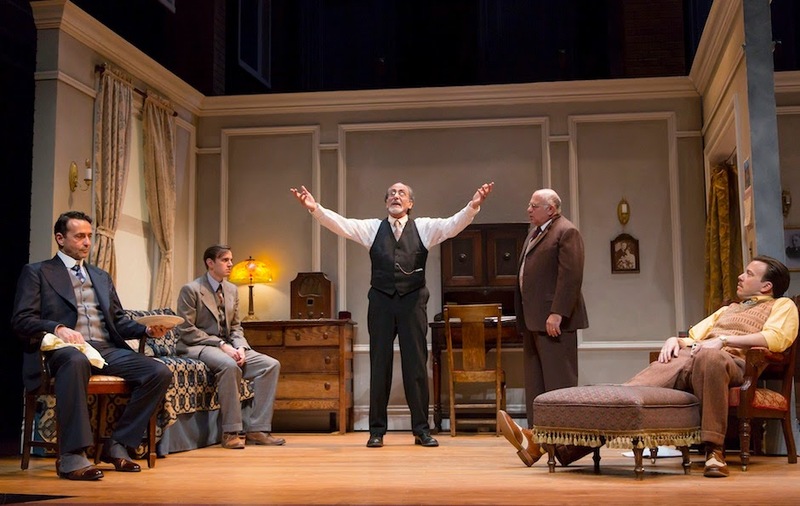 I was less taken, I'm afraid, with Stephen Schnetzer's rather blank Uncle Morty, and Michael Goldsmith whined a bit too much as young Ralph, the Odets factotum whose desire to awake and sing should strike us as at least potentially heroic. Meanwhile local light Nael Nacer made the same mistake he made in The Seagull last spring - although it's hard to fault an actor for this: he made us care too much for his character! James Noone's rather genteel tenement. In the end, the production I think reflects the kind of conflicted impulses we often see in "enlightened" versions of the classics - and in Bensussen's in particular. I recall this director edited the homosexuality out of her ham-handed production of Merchant of Venice, and then worked up a wildly over-complicated super-structure to "critique" the sexism of Taming of the Shrew. She simply doesn't trust an audience to be able to parse the prejudices of a play's period all on their own; she's an academic, after all, and perhaps unconsciously casts playgoers as incoming freshmen in some sort of ongoing seminar. To be fair, though, while Bensussen's political correctness sabotaged her Shakespeare, in a way, her cast of mind works both to her advantage and disadvantage when it comes to Odets. On the one hand, her censorious urges dilute this playwright's bristling emotional power. But on the other - she's not so very different from this playwright, frankly; he's a bit of a reforming pedagogue, too - and this gives Bensussen some unique insights into his method. So she does capture perhaps the essence of his distinctive song, if not its abrasive edge.